Many thankx to Olivia Poloni and Nellie Castan Gallery for allowing me to publish the photographs in the posting. The permission is most appreciated. Please click on the photographs for a larger version of the image. 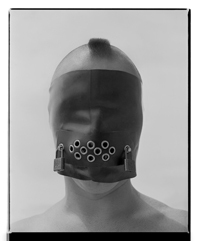 All photographs © Bind Cole, courtesy of the artist and Nellie Castan Gallery. 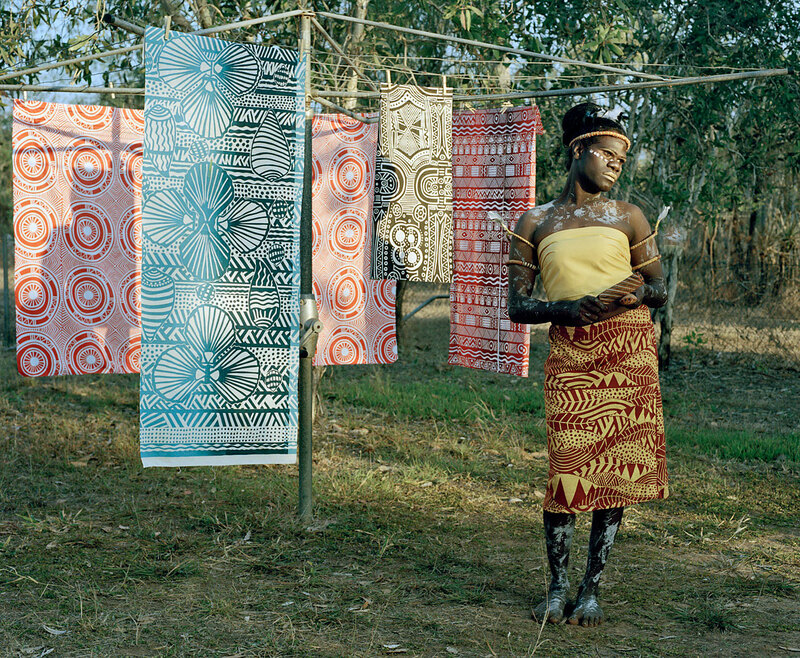 The exhibition ‘Sistagirls’ by Bind Cole at Nellie Castan Gallery contains some beautiful photographs and others that are less successful. The successful portraits the ones that depict the Sistagirls in a more natural, less stylised way – they are the more interesting photographs. The subjects seem to speak for themselves without restriction, to be not so beholden to the pose that photographer wishes them to assume and/or the pose they wish to impose on themselves. For example, the photograph of ‘Jemima’ (see below) is just stunning in it’s naturalness and beauty. 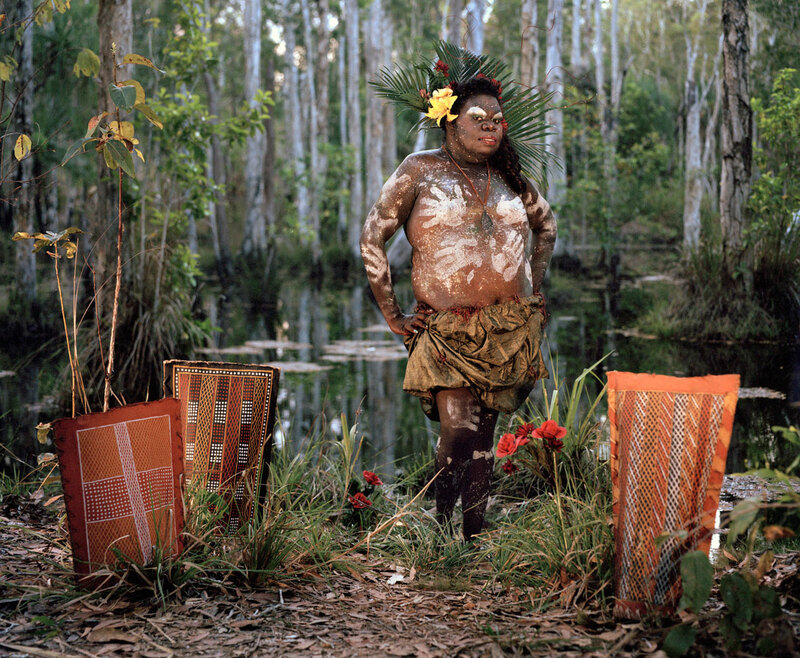 The two photographs of ‘Crystal’ and ‘Patricia’, where the transgendered person asked to be photographed in traditional body paint with traditional objects, are highly successful in their form, composition and in the ability of the photographs to challenge stereotypical notions of Aboriginal culture. Other portraits are anachronistic and a little try hard, with the misplacing of persons and objects in regard to each other. The portrait of ‘Bimbo’ (very top photograph) did not need the two objects placed on the beach next to the person to make it a successful photograph; the portrait of ‘Frederina’ (below) had enough going on in the photograph without the seemingly gratuitous placement of traditional objects in the background. We get the point and there was really no need to labour it. As noted at the end of the quotation, we, the viewer, must cut through this com-pose-ition to address the document directly. We must cut away the appendages of style and view the person and the photograph on its own terms. This is why the simpler portraits in the exhibition have so much more power than the overly constructed ones – they reach for an intangible essence that Cole is seeking by dropping away style and surrendering to the ineffable, a recognition of the lightness and joy in just being. 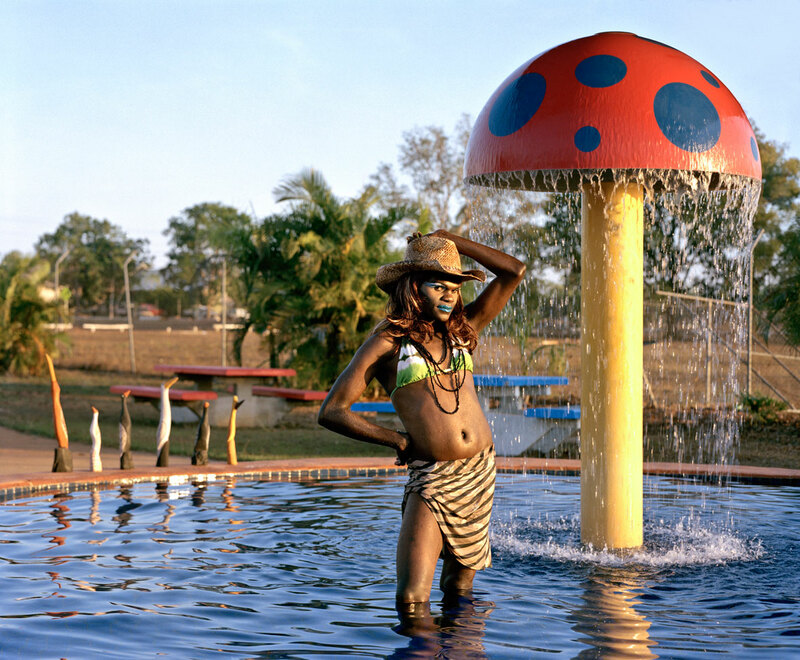 “The term ‘Sistagirl’ is used to describe a transgender person in Tiwi Island culture. Traditionally, the term was ‘Yimpininni’. The very existence of the word provides some indication of the inclusive attitudes historically extended towards Aboriginal sexual minorities. Colonisation not only wiped out many indigenous people, it also had an impact on Aboriginal culture and understanding of sexual and gender expression. As Catholicism took hold and many traditions were lost, this term became a thing of the past. Yimpininni were once held in high regard as the nurturers within the family unit and tribe much like the Faafafine from Samoa. As the usage of the term vanished, tribes’ attitudes toward queer indigenous people began to resemble that of the western world and religious right. Even today many Sistergirls are excluded from their own tribes and suffer at the hands of others. 1. Feiereisen, Florence and Pope, Daniel. “True Fiction and Fictional Truths: The Enigmatic in Sebald’s Use of Images in ‘The Emigrants'” in Patt, Lise (ed.,). Searching for Sebald: Photography after W.G. Sebald. Los Angeles: The Institute of Cultural Inquiry, 2007, p.175. I am really inspired together with your writing abilities and also with the structure on your blog. Is that this a paid subject matter or did you customize it your self? Anyway stay up the excellent high quality writing, it?s uncommon to see a nice blog like this one today..
What a beautiful exhibition. Thank you very much Bindi Cole and Nellie Castan Gallery. It is great to realise that many “early” societies were inclusive of the diversity of people in their communities – and more tolerant than many in current day western societies. Thank you for the beautiful, respectful images.